P.I.E. ("Persuade, Inform and Entertain") is a handy acronym to use when discussing the role of media with kindergarten. The media literacy objective encompasses a beginning understanding and critical awareness of media texts. After an initial brainstorming of what media is (newspapers, TV, posters, internet, etc.) the P in P.I.E. can be explored. Words PERSUADE us. To do things. To buy things. To feel a certain way. Words are everywhere, sending us messages. 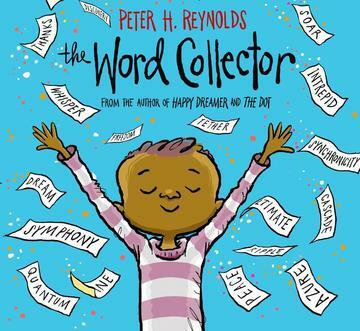 The Word Collector, by Peter R.Reynolds, is a great launch to the unit. Jerome loves words, words he likes the sounds of even if he doesn't know what they mean. He sorts them, organizes them, then accidentally spills them, so words that wouldn't normally be together, end up side by side. Jerome then creates poems, and songs, realizing their power to communicate. 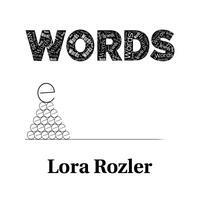 Another fun book, by Lora Rozler, is Words. A lonely "e" wanders, looking for meaning. It finds itself inside various words that can be either negative or positive, and finally settles on being the final letter of "love," rather than "hate." Where do we see words in our world? What is their job? 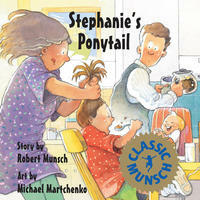 In Stephanie’s Ponytail, by Robert Munsch, illustrated by Michael Martchenko, each time Stephanie tries to be different by executing a new hairstyle, the kids in her school copy her. Her frustration builds with the fact that no one is thinking for themselves. One day she tricks them by saying she’s going to shave her head. It’s a lesson in to peer pressure, following the crowd, and succumbing to persuasion. And then a segue into superheroes is inevitable. 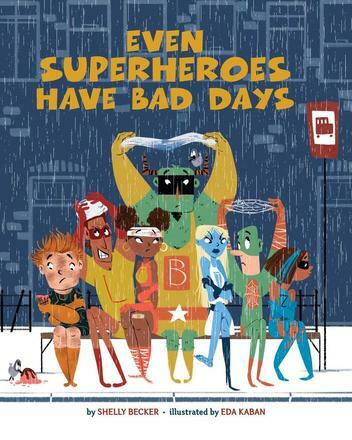 It might begin with the book, Even Superheroes Have Bad Days, by Shelly Becker, illustrated by Eda Kaban. What logos or symbols do superheroes choose and why? 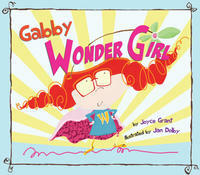 In Gabby, Wonder Girl, by Joyce Grant, illustrated by Jan Dolby, one of the characters, Super Roy, has an Indigenous symbol on his chest. Why those colours? Colours stand for something, too. 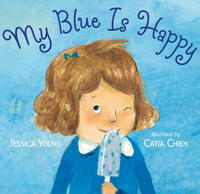 My Blue is Happy, by Jessica Young, illustrated by Catia Chien, is a good starting point. What do certain hues make us think of? Each page offers a positive and negative association. For instance, “‘Yellow is cheery,’ says my mom. /‘Like the summer sun.’/But my yellow is worried /Like a wilting flower /And a butterfly caught in a net." Students could draw their own superheroes and identify one or two strengths. They could then design their own logo, choosing a colour that reflects their abilities. Paper headbands, wrist guards and chest plates (stuck on with masking tape) can all be created and branded with a personalized super hero logo. A class logo could then be created, perhaps using an animal to show how the class wants to be seen by the rest of the school. 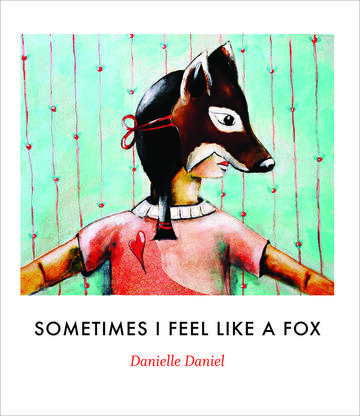 Sometimes I Feel Like a Fox, by Danielle Daniel, is a good book to address characteristics associated with certain animals. How does media Inform us? Inform our decisions, our choices? How does media Entertain us? The Ontario Library Association’s Blue Spruce nominated books are great for working through these ideas. Most of the titles have an accompanying online video. Which are book trailers? Which are readings of the book? Is it done by the author or a narrator? What can a video do that a book can’t? Sometimes the video has sound effects and a commentary. Which do you prefer? Which persuades you to read the book? 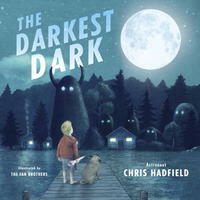 For instance, prior to reading The Darkest Dark, by Chris Hadfield and Kate Fillion, illustrated by the Fan brothers, kids can view videos of Hadfield in space, brushing his teeth, sleeping, making a peanut butter and jelly sandwich. How does using media affect how you view the book? What do you think the purpose of the Blue Spruce contest is? To persuade, inform or entertain us? 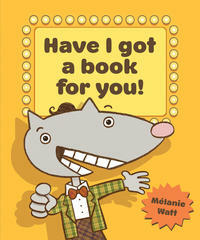 It’s a natural relationship between the Forest of Reading Program and Media Literacy for the kindergarten crowd.